New York (July 7, 2014) – Carolyn Everson, Vice President of Global Marketing Solutions at Facebook, has been elected as Chairman of the Board of Directors of Effie Worldwide, a nonprofit that champions the practice and practitioners of marketing effectiveness. Daryl Lee, Global Chief Executive Officer at UM was elected Vice Chairman. Carolyn and Daryl have served as Effie board members since 2010. Effie Worldwide’s Board of Directors work with the CEO and President of Effie Worldwide to set the organization's course and to ensure that its operations are well run. Effie Worldwide is responsible for the assessment, determination and celebration of effective marketing communications through its 40 global, regional and national programs across Asia-Pacific, Europe, Latin America, Middle East/North Africa and North America. Effie initiatives include the Effie Effectiveness Index, ranking the most effective companies and brands globally and the Effie Case Database. As Vice President of Global Marketing Solutions at Facebook, Carolyn leads Facebook’s relationships with its top marketers and agencies across the globe, overseeing a team of regional leaders, global partnerships, global agencies and Facebook’s Creative Shop. Prior to Facebook, Carolyn was a Corporate Vice President at Microsoft and also spent seven years at MTV Networks as both Chief Operating Officer and Executive Vice President. In addition to her years of service on the Effie Worldwide Board of Directors, she is on the Board of Directors of Hertz Global Holdings, Inc.; serves on the boards of DonorsChoose, The John A. Reisenbach Foundation, and the Mobile Marketing Association; and is an advisor to Luma Partners. As the Global CEO of UM, Daryl is responsible for the media agency’s global strategy, direction and operations, and oversees global management for clients, including Coca-Cola, Hershey’s, Johnson & Johnson and Sony. He has held executive positions at both creative and media agencies within the Interpublic Group including McCann Worldgroup and McCann-Erickson. In addition, he worked at Ogilvy and McKinsey & Company. Daryl sits on the board of the Gay and Lesbian Alliance Against Defamation (GLAAD) and has served on the inaugural jury for the Creative Effectiveness Cannes Lions and as a juror on Cannes Media Lions. 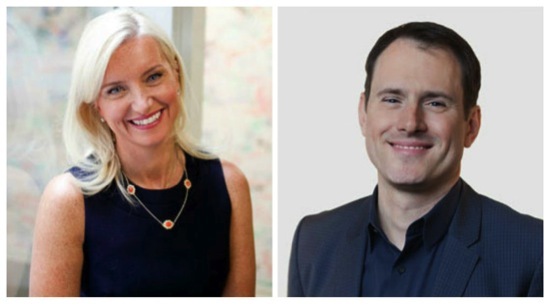 Carolyn Everson succeeds Carl Johnson, Cofounder of Anomaly, who served two terms as Chairman of the Board, from 2013-2014 and 2009-2010. Founded in 2004, Facebook's mission is to give people the power to share and make the world more open and connected. People use Facebook to stay connected with friends and family, to discover what's going on in the world, and to share and express what matters to them. Facebook is a trademark of Facebook, Inc.
UM (www.umww.com) is a global media agency that fuses curiosity and creativity to unlock competitive advantage for brands through media. Our philosophy of curiosity is driven by the power of story-telling fueled by intelligence, insights and ideas. A division of IPG Mediabrands, UM has more than 130 offices in 100 countries and over 4,800 employees committed to developing creative, strategic and customized campaigns for every client. Ranked as the most creative media agency by AdNews in 2012, UM also was recognized for leadership in advanced analytics by Media Magazine. UM’s list of clients includes Brown-Forman, Chrysler, Coca-Cola, ExxonMobil, Hershey’s, Johnson & Johnson, L’Oreal Paris and Sony. In 2012, UM’s new business global wins and retention received a grade A from RECMA.